The Diocesan Mission Office coordinates requests for funding from various missions and approves their representatives to come inside our diocese. The Pontifical Mission Societies were given the title "Pontifical" in 1922 and have special responsibility in the Universal Church. They are under the Canonical jurisdiction of the Holy Father who, together with the entire body of Bishops, remind the faithful of their baptismal call to mission, as they gather basic support for more than 1,150 mission dioceses in Asia, Africa, Europe, the Pacific Islands and Latin America. In general, the PMS include the Missionary Childhood Association (formerly Holy Childhood Association), The Society for the Propagation of the Faith, The Society of St. Peter, the Apostle, and the Missionary Union of Priests and Religious. The Rosary is a special set of prayers to God that help us to remember, reflect and meditate the most important events in the lives of Mary and Jesus. In 1951, the now Venerable Archbishop Fulton J. Sheen created the World Mission Rosary. Each decade of the World Mission Rosary represents a different area of the world where missionaries continue to share the Good News of Jesus. GREEN symbolizes and forests and grasslands of AFRICA. BLUE is for the ocean surrounding the Islands of the Pacific. WHITE symbolizes EUROPE, home of the Holy Father, shepherd of the world. YELLOW, is for the morning light of the EAST, symbolizing ASIA. To pray the World Mission Rosary, reflect on each area of the world according to the particular color bead at the time you announce each mystery. When you have completed the World Mission Rosary, you have given the World a big hug! 1843 – MCA founded by Bishop Charles de Forbin Johnson in France. 1836 – HCA established in the United States, first in New Orleans, and then in Baltimore. to benefit children in need. What is the World Mission Rosary? 1922 – HCA elevated to Pontifical status by Pope Pius XI. 1950 – Holy Childhood Day established by Pope Pius XII as the First Friday in October. The Society for the Propagation of the Faith, Society of St. Peter, the Apostle and Missionary Union of Priests and Religious uniting all for mission societies as ONE FAMILY IN MISSION. 2012 – Holy Childhood Association becomes Missionary Childhood Association (MCA) which emphasizes the missionary nature of our work and brings us into alignment with MCA worldwide. Three goals of MCA have remained unchanged since its founding. One is the emphasis MCA places on the need for children to fulfill their baptismal responsibility to share the Good News of Jesus with children in the developing countries. The second goal encourages children to pray for and offer their own personal sacrifices for children who are in desperate need of basic resources like clean water, food, education and medical care and, above all, the knowledge of the love of God. These goals are the foundation for the primary purpose of MCA – to help children strengthen their relationship with God through active participation in the missionary work of the Church. Parents, guardians, pastors, Religious Brothers and Sisters, lay people, especially principals, teachers, CCD Directors and catechists, play a vital role in MCA’s mission. With support from these people, the MCA message can reach the greatest number of children. The Mission Office of the Diocese of Paterson enthusiastically embraces the challenge of our baptismal commitment to Jesus Christ. We are privileged to participate in His mission embodied in the Church to build unity among all peoples in the world. It is comprised of the Pontifical Mission Societies namely the Missionary Childhood Association, the Society for the Propagation of the Faith and the Society of St. Peter, the Apostle. They are given the title “Pontifical” in 1922 hence, they are under the canonical jurisdiction of the Holy Father, who, together with the entire body of bishops, remind the faithful of their baptismal call to mission. The Pontifical Mission Societies supports 1,150 mission dioceses in Asia, Africa, Europe, The Pacific Islands and Latin America. We invite you to contact us if you need additional information and we hope that you will join us in our work through the many activities and programs we offer. The Missionary Childhood Association expresses their missionary commitment by offering their prayers, personal sacrifices and financial support for the work of the Church in the missions. It aims to instill the Universal Missionary spirit of prayer and sacrifice among our Catholic schools and parishes’ CCD. Its mission according to the mandate is to educate U.S children about the lives of their brothers and sisters in developing countries and to encourage participation in programs that raise funds for young people in need that is why it is also called “Children Helping Children.” Mission is not to be confused with charity, as commendable and important as the latter is, mission is Evangelization, global outreach and changing lives of others through Jesus’ teachings. Materials from the Diocesan Mission Office assist educators in teaching children about the realities of the developing world through stories, activities and prayers. Principals, teachers and catechists are encouraged to use whatever MCA resources are available that best fit into their school or parish. Advent and Lent Programs – MCA ID Cards are available to children who pray for the poor children around the world and offer their personal sacrifice through the Advent/lent boxes. With Leaders’ Guide for each season, mite boxes are used to collect offerings for the poor and vulnerable children half the world away. A World Mission Rosary and prayer cards are available for every child. National MCA Christmas Art work Contest – Winners are selected and their artwork will be available as e-greetings on www.MCAKids.org and will be displayed at the Basilica of the National Shrine of the Immaculate Conception in Washington, D.C. during Advent and through the Christmas season. “It’s Our World” Newsletter – given free every Fall/Advent and Spring/Lent when requested. Prayer and Penny Week for the Missions – with leader’s guide. Recognition – Schools and parishes with the highest per capita donations are awarded a certificate and Plaque of Appreciation given every World Mission Sunday Mass celebration. Links to other sites offering mission-related activities and stories are free. New to teaching about mission? Missionary visits in schools offer the opportunity to hear personal witness from missionaries who have served in various countries. Students are challenged to fulfill their baptismal call to mission by invigorating their mission identity, learning about global trends in mission and offering prayerful and sacrificial support. Request for a missionary visit in schools and parishes are gladly arranged when requested. 777 Valley Road, Clifton, NJ 07013. We always appreciate extra information, such as what activities your students did to raise MCA funds; your stories and photos can also be published at our weekly Diocesan Newsletter, The Beacon. The Mission Office will always acknowledge your generosity through a Thank You Letter from the Director or Mission Coordinator. Some children work in groups sponsoring walkathons, dress down days, raffles, or other creative events. Some children make personal sacrifices by sending money that they received for chores or babysitting; others share their allowances or birthday gift money. Contributions should come from the student’s own sacrifice of time, talent and treasure. MCA offers mite boxes to students to encourage a spirit of sacrifice, but fundraising component is secondary to catechesis and must always be combined with formation. Fundraising without faith formation does little to form life-long missionaries. Contributions to MCA are allocated to mission dioceses throughout the world according to need. Once each year, national directors of the world’s Pontifical Mission Societies meet in Rome to review requests for funding from mission dioceses throughout the world. 2. The Society for the Propagation of the Faith is the Holy Father’s chief missionary arm providing resources for more than 1,150 mission dioceses the world over. Donors from around our diocese send monetary gifts to support various mission works. Another means of spiritual and financial support of the Church’s home and foreign missions is the MCP or the Missionary Cooperation Plan. The Missionary Cooperation Plan – (MCP) educates the people of our diocese to the missionary work of the church and provides financial aid to mission-sending communities, societies and dioceses around the world. The mission office coordinates requests for funding from various missions and approves their representatives or contact person to come to our diocese to give a mission appeal talk in the parishes assigned to them. A Letter of Endorsement for the contact person must be attached to the application with the proper seal of the Bishop, Superior of the Archdiocese/Diocese or religious order/community. Deadline of Submission: November 30 of the current year. Before the end of January, MCP Survey Form will be emailed or faxed to the applicant’s contact person. By mid-March, the MCP Approval Form will be mailed to the approved Archdiocese/Diocese/community/Order or Non-Profit Group with the date of their Mission Appeals in our Diocese. Meeting the deadlines is a very important factor. Dates are given to make sure that air fare reservations are made ahead of time. Airport should be Newark International Airport (ewr). These dates were given by the pastors and are fixed. Name and location of parishes will be given only when the original Letters of Suitability of all the speakers, duly signed by the Bishop/Superior or head of the non-profit organization (with the proper seal) are mailed to the Mission Office on or before the deadline. 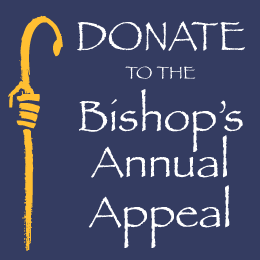 Mission Appeal in the Diocese of Paterson is strictly done during the month of August only. Two MCP checks are mailed to the contact person sometime between October and January of the following year. We do not mail checks nor wire transfer outside USA. Each approved missionary group should have a dollar account here in the United States or in their native country or they will not qualify. World Mission Sunday - is a day set aside for Catholics worldwide to recommit themselves to the Church’s missionary activity through prayer and sacrifice. In 2016, World Mission Sunday is celebrated on October 23rd.Annually, it is celebrated on the next-to-the last Sunday in October. (October 22 in 2017and October 21 in 2018). The offerings collected on World Mission Sunday are destined for a common fund of solidarity distributed, in the Pope’s name, by the Society for the Propagation of the Faith among the missions and missionaries of the entire world. Mission dioceses, about 1,100 at this time, receive regular annual assistance from the funds collected. In addition, these mission dioceses submit requests to the Congregation for the Evangelization of People (in Rome) for assistance for catechetical programs, seminaries, work of Religious Communities, for communication and transportation needs and for building chapels, churches, orphanages and schools. These needs are matched with the funds gathered in each year. The world’s national directors of the SPOF vote on these requests, matching the funds available with the greatest needs. These funds are then distributed, in their entirety, to the mission dioceses throughout the world. 3. The Society of St. Peter, the Apostle or Summer Appeal – aims to support the ducation of seminarians in the third world countries. Every year the needs of the Catholic Church in the missions grow – as new dioceses are formed, as new seminaries are opened because of the growing number of young men hearing Christ’s call to follow Him as priest, as areas devastated by war or natural disaster are built and as other areas, long suppressed are opening up to hear the message of Christ and His Church. That is why involvement and commitment of Catholics from around the word is urgently needed. Offerings from Catholics in the United States on World Mission Sunday and throughout the year are combined with the offerings to the Propagation of the Faith worldwide. Our community, founded by Don Bosco and Mary Mazzarello, is present in almost 100 countries throughout the world. There are two things that happened to me in Egypt that I think epitomize the reality that Christians face in that area that is so close to the land of Jesus&apos; birth and ministry. The first is the reality of the government in Egypt. The government regulates everything. They tell you which books you can (and cannot) use in school. They send inspectors to a Catholic, private school to check up on what is being taught. They are not only looking for content being adequate but for content they consider questionable. There is no freedom of expression or first amendment rights. There is no freedom from government control and interference. The second is a story. It&apos;s a story of a Muslim girl who wanted to become Christian. You see, a person&apos;s faith is actually written on their birth certificate in Egypt. One does not simply convert to Christianity from Islam in the Middle East. Conversion is equivalent to becoming a target. This girl, a 17 or 18 year old, was no longer permitted to do her laundry with the family. She eventually had to run away from home, leaving Egypt for good to follow Christ. It amazes me to think of the strength of this young woman. I&apos;m impressed by her faith and her drive to follow where Jesus led her, even though it meant permanently breaking ties with her family, a family she loved dearly. She knew, though, that if she stayed, no one would ensure her safety. She knew that there was no way she could escape murder by one of her relatives for her denial of Islam. I give thanks to God for the gift of America, for the freedom to follow our conscience, and for the great liberties, wealth, cleanliness, and the values of honesty, integrity, and openness that form part of our culture.